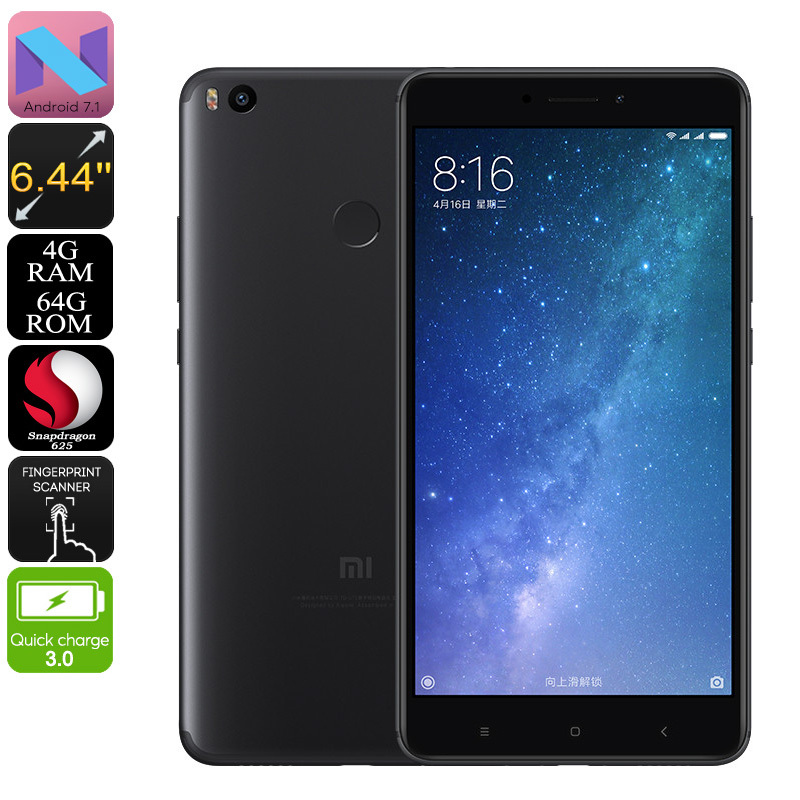 Successfully Added Xiaomi Max 2 Android Phone - Snapdragon CPU, 4GB RAM, 128GB ROM, 4G, Android 7.1, 6.44-Inch, 1080p, Quick-Charge 3.0 (Black) to your Shopping Cart. With a Snapdragon 625 Octa-Core processor and a whopping 4GB of RAM in place. The phone packs plenty of storage with its 128GB of ROM. It furthermore supports a 128GB SD card. The Xiaomi Max 2 Android Phone packs a powerful 5300mAh battery. Whenever you’ve run low on juice, your cell phone can be recharged in the blink of an eye thanks to Quick-Charge 3.0. The Android phone furthermore supports 4G for the fastest mobile network experience. Thanks to its Android 7.1 operating system, this cell phone is guaranteed to treat you to a smooth user experience. The phone even comes with a professional-grade 12MP rear camera that lets you shoot 4K video and breathtaking images. The Xiaomi Max 2 Android smartphone comes with a 12 months warranty, brought to you by the leader in electronic devices as well as wholesale Android phones..